Come join us together with these beautiful people. 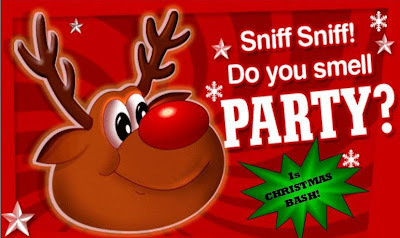 Check out D Christmas Bash's poster! 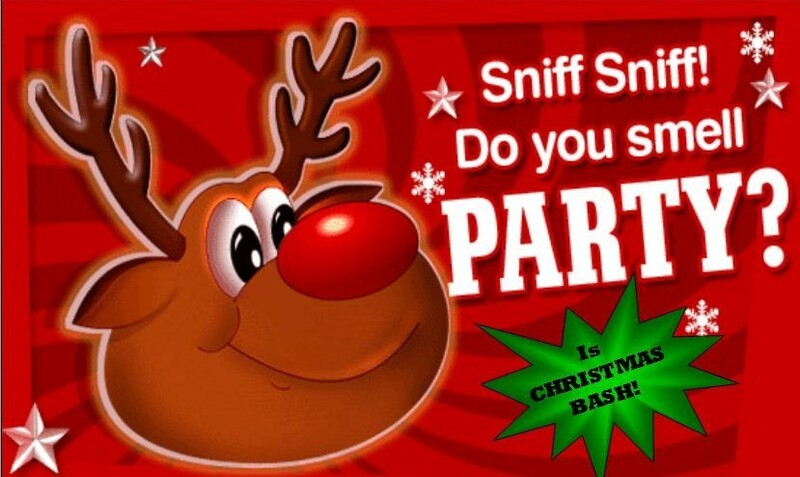 Our Christmas Bash's poster is out! You can see 'em from the north, south, east and west at college! Lol. Look out for these at lifts and on our Christmas Tree @ G floor. Come and don't miss out the fun! Drag your friends along too! Here's an info for your Christmas pleasure. We will be bringing the Christmas Spirit into SEGi College Subang Jaya on the 8th November, at 2pm at the ground floor.We'll put up the Christmas tree, and then caroling practise begins at around 3pm. Yes, let is snow, let it snow, let it snow. How To Get My Entry Ticket? Besides getting your tickets from Melissa, Fee Vien, Soo Wei, Nisha, Misha or Jevin. We will be setting up a BOOTH at College from Next Week onwards. Here we present to you Christmas Bash 2010! Happening on NOV 26th 2010 @ 5.30 Sharp! 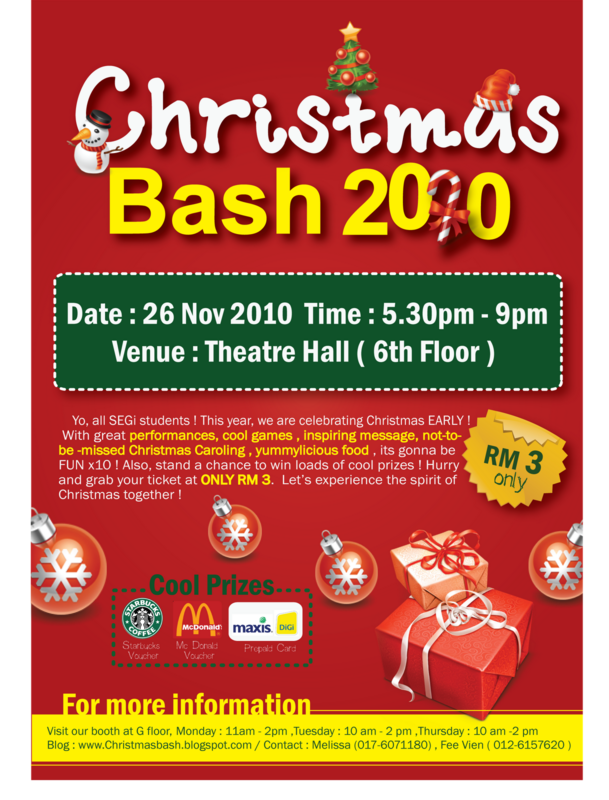 It only cost you RM3 and you will get a great chance to celebrate 2010 Christmas with your beloved friends! There will be Light refreshment, Performances, Games, Christmas caroling, Awesome Message, Dinner and more!! You don't wanna miss the this awesome opportunity to celebrate your Christmas with your collegemates! *Space is limited! First come first serve basis.. So do book your friends and your place early! is only RM3 and you gonna have a BLAST night! Come! We gonna make your College Life rocks!